All ZenzTherapy haircare products are based on organic rosehip, amaranth, sea buckthorn and chamomile. Each product category is enriched in other ways too, depending on how the products are used. A detangling and volumizing conditioner that leaves hair stronger, shinier and more manageable. If you have flat, fine or lifeless hair that gets tangled, we recommend using a conditioner that strengthens your hair, making it possible to add volume during blow-drying. If you can also smooth the cuticle layer of the hair, then it will look soft and shiny and be easier to style. For this, we recommend using Volumizing Conditioner Amaranth. A moisture-regulating and detangling conditioner with sea buckthorn, which helps to keep hair manageable and reduces damage to the outer layer of the hair. If you have dry or treated hair, try using a moistureregulating conditioner that moisturizes and protects the hair’s cuticle layer and leaves hair more manageable and shiny, thanks to ingredients that include sea buckthorn. 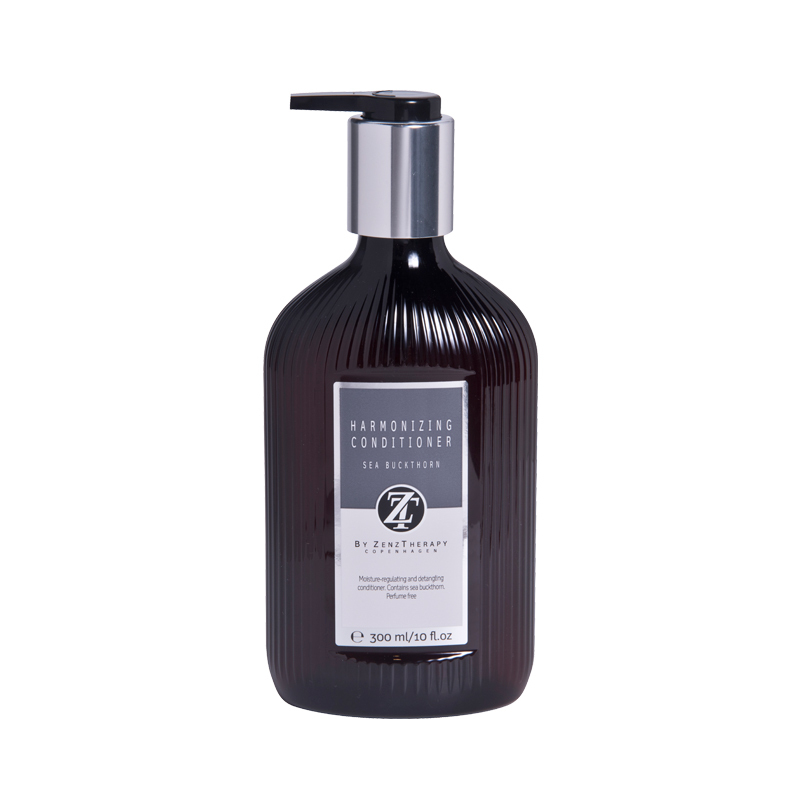 The product we recommend is Harmonizing Conditioner with sea buckthorn and keratin proteins. Revitalizing and smoothing conditioner with rosehip. Ideal for repairing damaged or dry hair that may have been caused by chemical treatments. If you have treated, frizzy or damaged hair, try using an intensive smoothing conditioner that is able to soften hair using ingredients that include rosehip and macadamia oil, making hair more manageable. The product we recommend is Nourishing Conditioner with rosehip.